The number of people on the planet has doubled in the last 50 years. While much of this growth has been in countries with relatively low per capita carbon emissions, the sharp rise in global population has contributed to increased output of greenhouse gases. Not only are there more people on the planet, industrialisation and rising per capita consumption in both developed and developing nations have played their parts in driving up output of gases that if uncontrolled, will cook the planet. The latest projection by the United Nations is that the global population will rise from just over 7 billion today to 10 billion by 2050. Again, most of this will be in lower emission countries, but some of these countries are industrialising fast, while global migration from developing to fully-developed countries is expected to increase. Nine countries are expected to contribute over half of the estimated population growth between now and 2050, these being, in descending order of magnitude: India, Nigeria, Pakistan, the Democratic Republic of Congo, Ethiopia, the United Republic of Tanzania, the US, Indonesia, and Uganda. Of these, the US and India are currently the world’s second and third largest users of coal. Indonesia is a major consumer of the fossil fuel while Pakistan and the Congo have historically used very little of coal. The remaining four countries are negligible in terms of coal demand. India and Indonesia have large coal reserves and are expected to continue to rely on the dirty fuel for the foreseeable future. Coal is the largest single contributor to climate change and its other environmental consequences – such as smog – has prompted developed countries to switch to cleaner alternatives. China accounts for a large proportion of world coal use and this, along with other consequences of its rapid industrialisation, is the principal cause of air pollution and a major contributor to poisoned water and damaged soil. 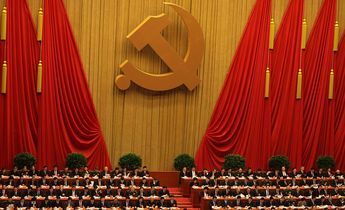 It has been argued that China’s so-called ‘one child policy’ has, by reducing population growth, helped to prevent even worse pollution. In practice, assessing the impact of social policy is not easy. Sanctions and punishments were accompanied by other measures, such as provision of family planning services and promotion of the benefits of smaller families. When a number of measures are introduced together, it is hard to distinguish the contribution of each. Moreover, China underwent huge economic and social changes during the period of the one-child rule. Again, it is not easy to separate the impact of the policy on family size or other changes in society. It has also been pointed out that the fertility rate has fallen sharply in a number of other countries without such controls on family size. However it could be argued that circumstances vary between countries, so this is not conclusive evidence that China’s one-child policy had no effect on birthrates. China now-favoured ‘two-child policy’ again raises the question of what impact this will have on the birthrate. Certainly, the global trend is towards smaller families and this is particularly the case in wealthier countries. Where there is good access to family planning, couples tend to prefer smaller families unless there is a high level of state subsidy and employer support for those who have children. When children require an extended education to be successful in life, they and their parents benefit from being part of a small family. That being said, the Financial Times estimates that the relaxation of the policy will result in a rise in the birthrate of between one sixth and one third. The environmental impact of this increase will depend partly on China’s success in moving away from fossil fuel use, and decarbonisation of the world’s biggest fossil fuel energy system poses huge challenges. Moreover, even if the power sector becomes much less dependent on coal, population growth increases emissions in other ways, such as greater demand for transport (particularly aviation) and livestock (mainly through increased demand for meat). Often, a high birthrate or, in some countries, high migration are promoted as the solution to an ageing population. Worldwide, demographics are changing as people live longer birthrates fall. However, the answer cannot be to increase our numbers given the environmental issues the planet faces. 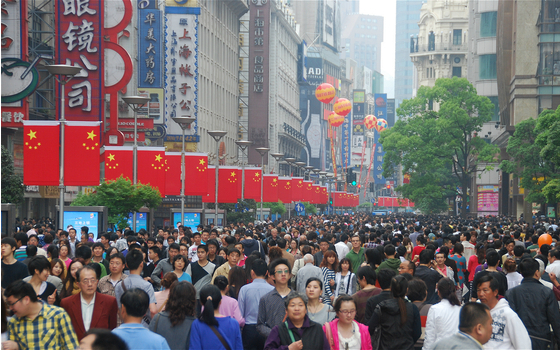 We should not forget that the population of China was 500 million in 1950 and is now 1.4 billion. Instead, a falling working age population should be addressed by helping older people to remain in work for longer, and helping mothers and young people to contribute and increasing productivity and automation. It is hard to overestimate the potential impact of rising population and increasing per capita consumption on climate change and other environmental problems, including declining availability of water and fertile land. That the environmental future of the planet is so uncertain is surely a reason for greater rather than less caution. As an organisation concerned with long term sustainability, we advocate that the world’s population should stabilise and consumption fall to a level that can be met from resources of energy, materials and agriculture. This includes using technologies that result in lower resource consumption, moving to more egalitarian and mindful lifestyles and slowing and reversing population growth. For the latter, we recommend the proven approaches of universal access to appropriate, available and affordable family planning services, equal access for women to education and employment at all levels, and the promotion of the personal and social benefits of smaller families. How much of the above was discussed at COP? I understand that human population increase was deliberately off-I have already e-mailed you that your recent e-mail to me was blocked: is this likely to be by known enemies of your policies? I always post your info on my facebook , but cannot do this if it risks the security of my many followers. Good luck and success with your important work.